Brite Spots® fluorescent pocket highlighter. Non-toxic. Made in the USA. Assorted colors available, 50 pieces per color. 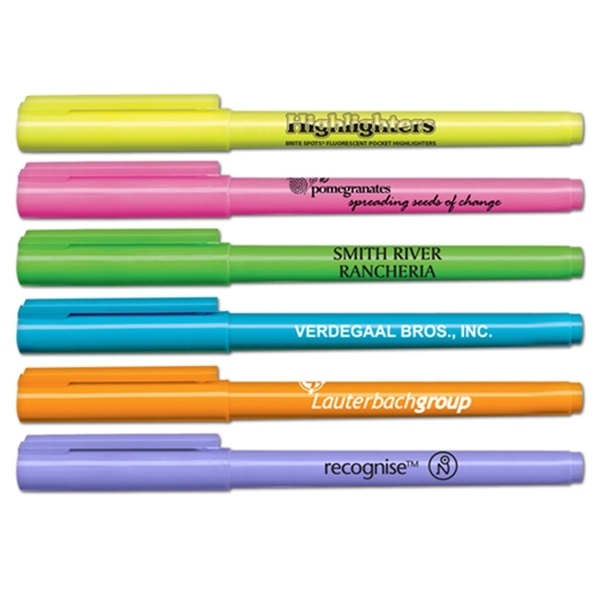 Price Includes:1 Color Imprint on Barrel.